China is one of the most interesting places to spend your holiday. A Chinese holiday offers a wide variety of options. 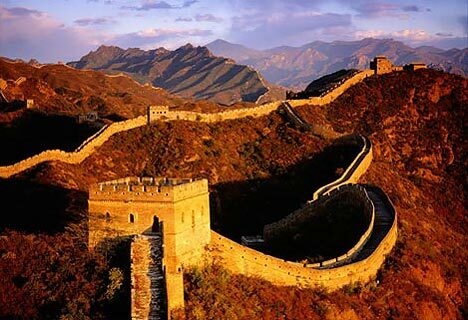 There are China tours which focus on the Great Wall. Other tours visit the popular temples and other forms of religious iconography. China is known for its manufacturing prowess, because of this there are many tours which take visitors to different types of Chinese malls and markets. There are also tours which focus on important Chinese cities or the nation's natural beauty. No matter what your interest in China is there are excellent tours which can help you to better understand and enjoy it. The Great Wall is China's best known tourist attraction. People worldwide know of the wall and take trips to China to see it for themselves. China tours help visitors to understand how and why the wall was built. Tour guides provide unique insight about the construction process of the 8,851 kilometre wall and the use of natural land forms and earthen fortifications to make the wall impenetrable to the nomadic tribes on China's northern border. The tours teach about the 11 centuries the construction took and the support of Chinese emperors from Qin Shi Huang through the Ming Dynasty rulers to complete it. China is also known for its great number of diverse temple and religious icons. There are excellent tours which take tourists to China's most famous and sacred sites. Visitors are led to such prominent places as Famen Temple in the Buddhist complex in Baogi, Shanxi, the statue of the popular Chinese goddess Mazu on Meizhou Island, the Jade Buddha Temple in Shanghai and the Spring Temple Buddha statue in Henen, the tallest statue in the world. They also visit a number of pagodas and stupas including those acknowledged as the world's tallest. Many of the intriguing colourful structures are related to Buddhism and Taoism. There are fabulous mall and markets in China. The South China Mall in Dongguan and the Golden Resources Mall in Beijing, considered two of the world's largest, are popular tour destinations. Tours also visit the Binjiang Dao Business Street, the Helping Lu Business Street and Gu Wenhua Jie in Tianjin. Many good tours include a visit to the Shenyao Dao Antique Market, China's biggest antiques market. There are also tours to Shanghai, a shopping paradise, where people can find textiles, clothing, sneakers, watches, DVDs and electronics. For many people it is their favourite part of their visit to China. The great natural beauty of China is undisputable. China tours take tourists to Shanghai Yuyuan Garden, the Lesser Three Gorges on the Yangtze River, Yulong Snow Mountain, Zhangjiajie National Forest Park, the Li River Scenery, China's 'Paradise on Earth' Hangzhou, the Yellow Mountains in Huangshan, the Karst Mountains in Yangshou and the Jiuzhaigou Valley with its clear placid lakes, multi-level waterfalls and varied landscape. This is considered one of the most beautiful locations in China. Do you want to take a holiday you will remember forever? Visit amazing China. 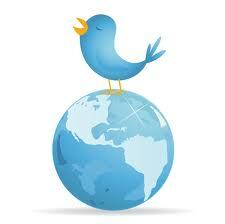 Click here for great deals and offers on China Tours and tailor made holidays.